The Reformation still matters for our interaction with Catholicism, but we also argue that in many ways evangelicals also need to rediscover the truths of the Reformation. On 31 October 1517, Martin Luther posted his ninety-five theses on the castle church door in Wittenberg. More than any other event, this has the best claim to be the starting gun that set the Reformation in motion. Five hundred years later, the Reformation still has important things to say. 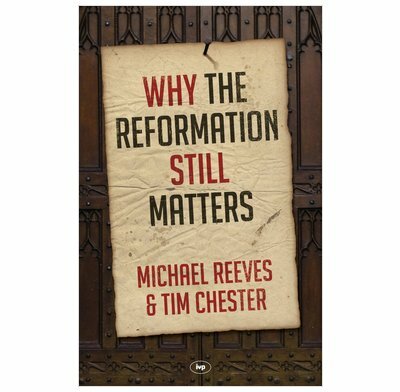 In this clear, incisive and accessible survey, Michael Reeves and Tim Chester show how the Reformation helps us answer questions like: How do we know what is true? Can we truly know God? How does God speak? What is wrong with us? How can we be saved? Who am I? That many people today find the Reformation strange and remote exposes our preoccupation with this material world and this momentary life. If there is a world beyond this world, and a life beyond this life, then it doesn't seem to matter very much to us. At its heart, the Reformation was a dispute about how we know God and how we can be right with him. At stake was our eternal future and it still is. This is a necessary book and I would heartily recommend it, especially to those considering the ministry. Those more familiar with its precious truths will find it refreshing and stimulating, but my fear is that those who need it most, as a helpful corrective, may well be dismissive. But though many may see it as a rehash of bygone ideas, they couldn’t be more mistaken.